When Winsley Melancon was displaced from New Orleans in 2005 by the devastating Category 5 Hurricane Katrina, her life changed. She was living in the Austin Convention Center, well aware that she could not return to her old school, her old friends. 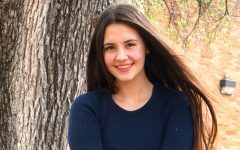 When her mother went looking for a new school for her, a bus driver recommended McCallum. 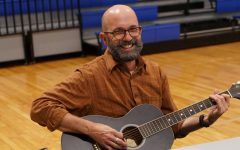 Immediately upon arriving at the McCallum campus, principal Mike Garrison, then just starting his second year as the school’s principal, welcomed her with open arms. Melancon started at Mac the next Monday and quickly found a home; Garrison, who had heard from her mother about how much she loved music, introduced her to the band director,Carol Nelson. Winsley says Garrison served as a source of comfort and a mentor for the rest of her time in high school. 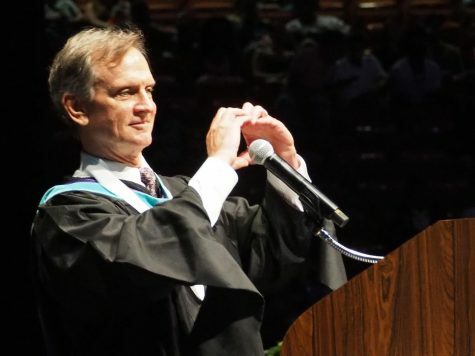 Garrison, who has similarly worked with other high school students in his tenure as principal, announced Thursday that he will be retiring at the end of the school year. 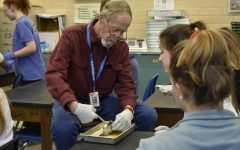 He has spent 40 years in education; 17 as a teacher, seven as an assistant principal and 16 as principal. 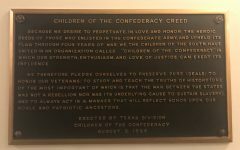 Garrison grew up in Bulverde, Texas, as the second-oldest out of 10 children. After coaching and teaching, he took his first administrative job in Pasadena ISD, then moved to Austin in 1998, where he was an assistant principal at Dripping Springs and Bowie. He started as principal at McCallum in 2003. He said that it was difficult to send the email notifying staff of his decision, as he will miss working with the McCallum community, but he has faith in the school continuing without him. Carol Nelson, who has known Garrison for as long as he has worked at McCallum, said that she was shocked at the announcement, and it was a deeply emotional experience going to talk to him about it. Senior Elijah Griffin wishes Principal Mike Garrison the best of luck and congratulates him on his pending retirement the day after Garrison announced his decision in an email to the faculty. Photo by Selena De Jesus. Parents and students say that Garrison is a supportive leader, one who attends as many school events as possible, and is deeply involved in the community. Parent Charlotte Sobeck remembers Garrison as a calming presence during the shooting threats that occured in February. Many students interviewed praised Garrison for his friendliness and good attitude. “Although his title says principal, throughout my four years at Mac I’ve always seen him as a friend, thanks to the constant jokes he cracks and the good vibes he gives off,” senior Paul Raper said. One quality students noted in particular was the effort he makes to make each student feel noticed and welcomed. English teacher Diana Adamson said that he while he takes a deeply individual approach to leadership, Garrison also knows when to stay hands-off. Other teachers also spoke to Garrison’s good judgement and temperament. Garrison went without goggles at this years Pink Week pep rally despite years or prior advance preparation before this years pie time. Photo by Gregory James. Cowles also said that he feels like he can count on Garrison as a friend, not just a boss. One of Nelson’s favorite memories of Garrison was when the principal, early on in his tenure, chased a streaker during the band’s halftime show at House Park. Adamson said that while she will deeply miss Garrison, she understands his decision to leave, and appreciates the time he has spent as a leader for McCallum. 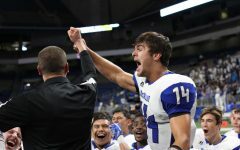 Garrison reassured the community that he is committed to fully serving out the rest of his days at McCallum, and that even when he leaves, he is not completely abandoning the school. 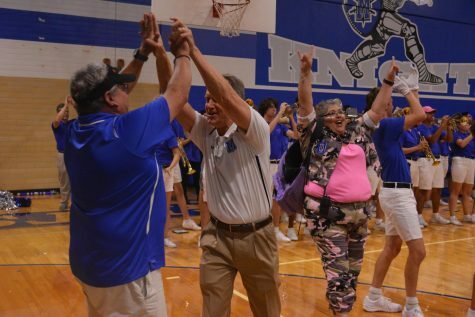 Garrison with Taco Shack owner Orlando Arriaga and teaching assistant Georgia Gonzalez high five each other after singing the school song at the Taco Shack pep rally in 2017. Photo by Dave Winter. Garrison said that the hiring of the next principal is up to the district; he believes that they will consult staff and community members for feedback on what qualities they’d like to see in the next principal, but he does not know whether they will hire somebody immediately or place someone in interim. His advice for the successor? 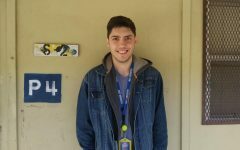 “McCallum is very, very unique place; lots of really great students, lots of really dedicated staff. 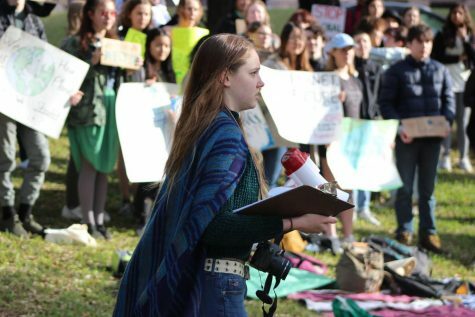 Just make sure that you bring your love and caring attitude to McCallum, the school and the community, because it will be deserving of that,” Garrison said. “And the new principal, whoever it may be, will get the support of everybody here in the community, and hopefully they have a have a good long run like I had here at McCallum. Ultimately, while it was a difficult choice to leave, Garrison says he feels confident in both his own future and that of McCallum. Garrison delivered a message to the Class of 2018 that he has said often: McCallum is family. Photo by Gregory James. A brief lock down of the campus during eighth period ended before 4:30 p.m., and students were released at the normal dismissal time. 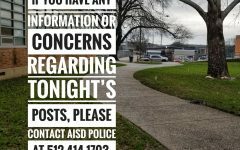 AISD police officers and Mac administrators were investigating a person in the senior parking lot. A Mac senior told the Shield that the person is a tutor who has picked the senior up from school on numerous occasions before today. Principal Mike Garrison sent an email to parents and faculty stating that authorities were alerted that students had seen the person walking on the sidewalk with a holster visible. The SRO’s and administrators immediately began to search the campus while classrooms were put on “lockout,” a security process in which people are free to move about inside the building but cannot enter or leave. The person under scrutiny was not arrested as he had a concealed weapon permit and was on the sidewalk by the street, which is considered public property. That concern led to the lockdown. 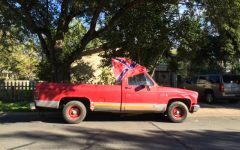 After police investigated, the man was released, as no criminal offense had occurred. of these leftover organic materials. These compostable materials include soiled paper products, food scraps, cardboard, wax boards, flowers and landscape trimmings. 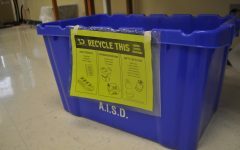 “We have these materials that we can put in a hole somewhere, or we can actually reuse and re-purpose them,” said Memi Cardenas, senior public information specialist with Austin Resource Recovery. Austin Resource Recovery manages the collection of trash, recycling, yard trimmings and composting material for approximately 200,000 local customers. This requirement was set by the Universal Recycling Ordinance Diversion in support of Austin’s zero waste goal. 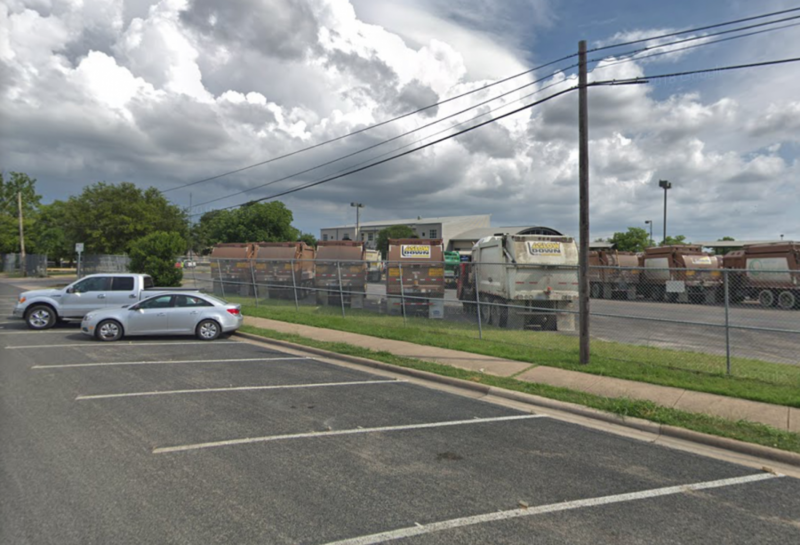 The Austin City Council adopted the URO-approved the Austin Recovery Master Plan “to ensure that multifamily and commercial properties had access to recycling services,” said Jacob McCombs, a senior planter with Austin Resource Recovery. The URO and Austin recovery master plan set the stage for the department’s programs and services. The aim of the plan is to reach the zero waste goal by 2040. This means keeping at least 90 percent of rejected materials out of the landfill. The master plan outlines milestones and steps, such as the requirement of composting, to ensure that their goal is achieved. Composting trucks line the parking lot at Austin Resource Recovery. The company redirects consumer compostable waste to a local family fertilizing business. Photo by Mia Terminella. 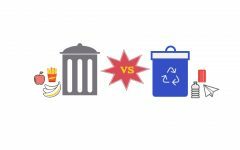 The new redirection options regarding businesses are donating food to shelters, sending scraps to local farms and establishing on-site composting. Businesses are able hire haulers to pick up food waste, but the cost to employ the companies can be prohibitive. Recently the cost to haul compost has gone down, however, due to there being less trash and therefore less cost to remove it. Experts say that donating food can be difficult in practice. “Although donating prepared food could help the city’s food-insecure population [those who do not have reliable access to food] dealing with prepared food from restaurants could create other challenges” said Tyler Markham, agency retail specialist for the Central Texas Food Bank. Redistributing food to other organizations is challenging due to ensuring it is packaged and labeled accurately. Markham said it is easier to go directly to one of the organization’s partners. Businesses are also able to donate food scraps to area farms or compost food waste and paper products themselves. Austin is in the process of rolling out its new residential curbside composting program, which as of now is available to 90,000 residents, but will be available to all by 2020. The city provides Austin Resource Recovery customers with a green cart for food waste, food-soiled products and yard trimmings. The material is then taken away and processed by Organics by Gosh, a local family fertilizing business who composts the material and sells it locally. 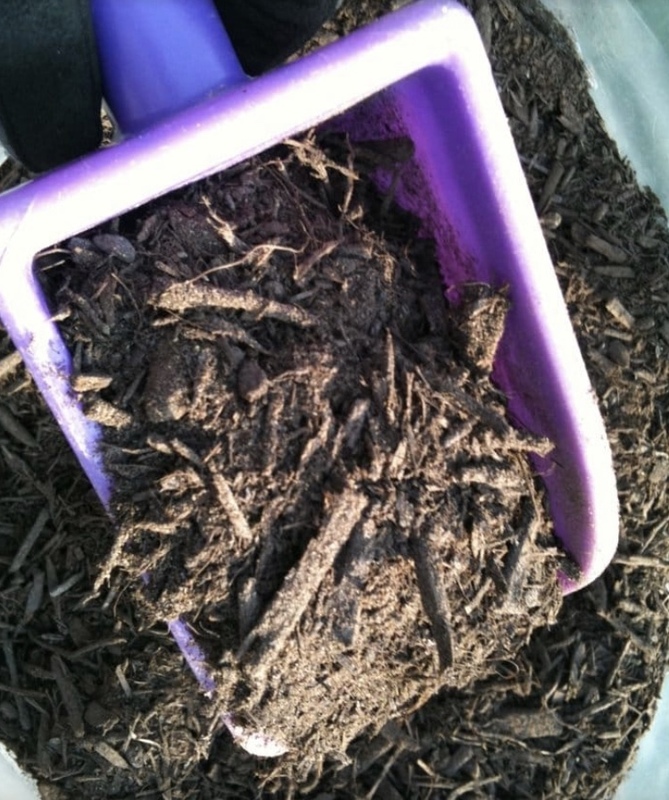 Compost is classified as decomposed organic material that provides essential nutrients for plant growth. It can be used as fertilizer, and it can be used to improve soil structure to ensure that the soil can hold a correct amount of moisture, nutrients and air. 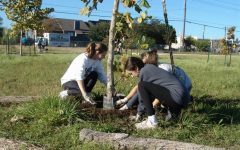 There are many local Austin businesses that allow residents to buy/sell compost. The Natural Gardener in South Austin is an organic plant nursery and garden that makes and sells its own compost. Compost Pedallers is another local business that is a 100-percent bike-powered recycling program. The Compost Pedallers collect compost from a wide range of homes and businesses and delivers them to gardens around the community and different urban farms. 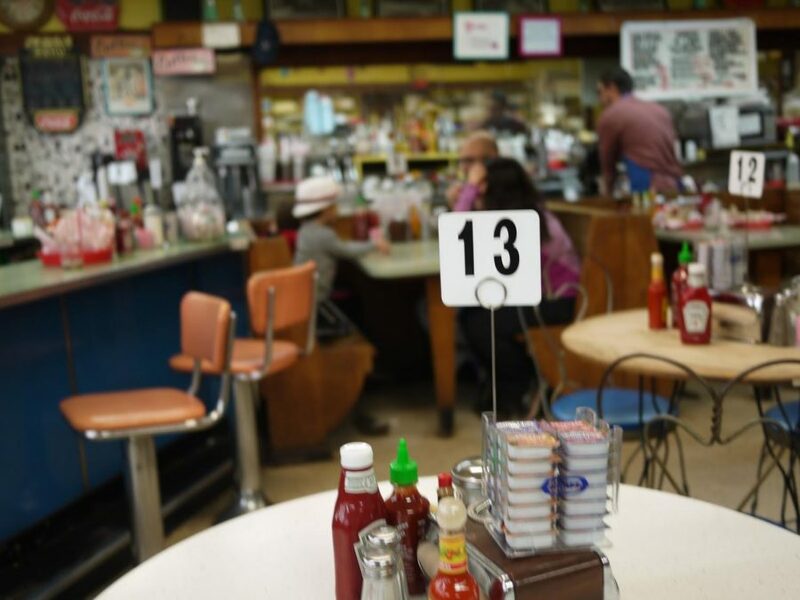 Austin’s large number of farm-to-table restaurants, farmers’ markets and food trucks report having some success in meeting the new requirements. Composting rates continue to rise as local businesses and residents become aware of the benefits to composting and the different ways can be involved. The staffs of the Knight and the Shield together captured 20 individual awards in the Southern Interscholastic Press Association’s 2018 Best Writing Contest. 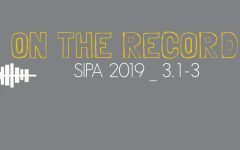 They were announced yesterday at SIPA’s National High School Journalism Convention at the University of South Carolina in Columbia. 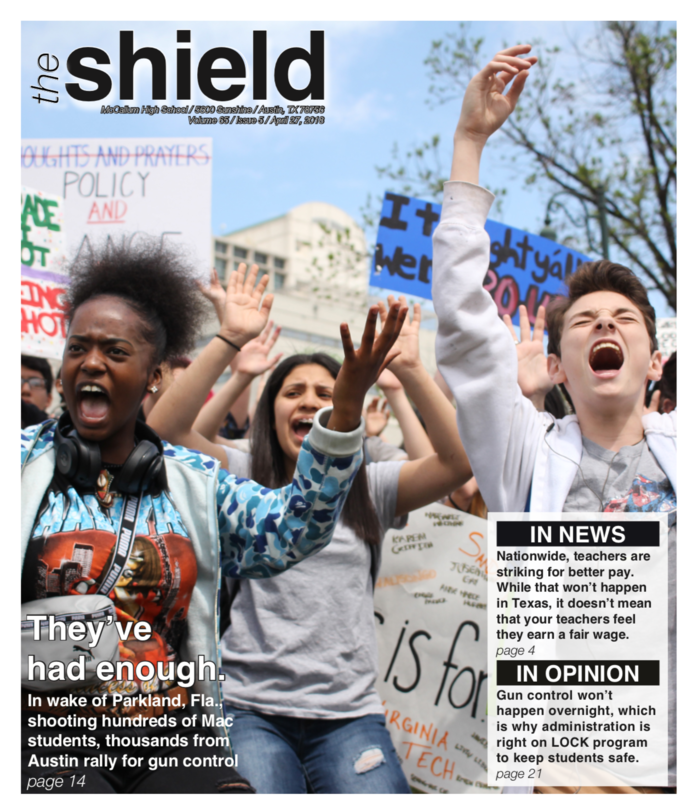 Shield co-editor-in-chief Sophie Ryland attained four awards including first-place awards for print feature story, print news story and online investigative story, plus third place in online features. 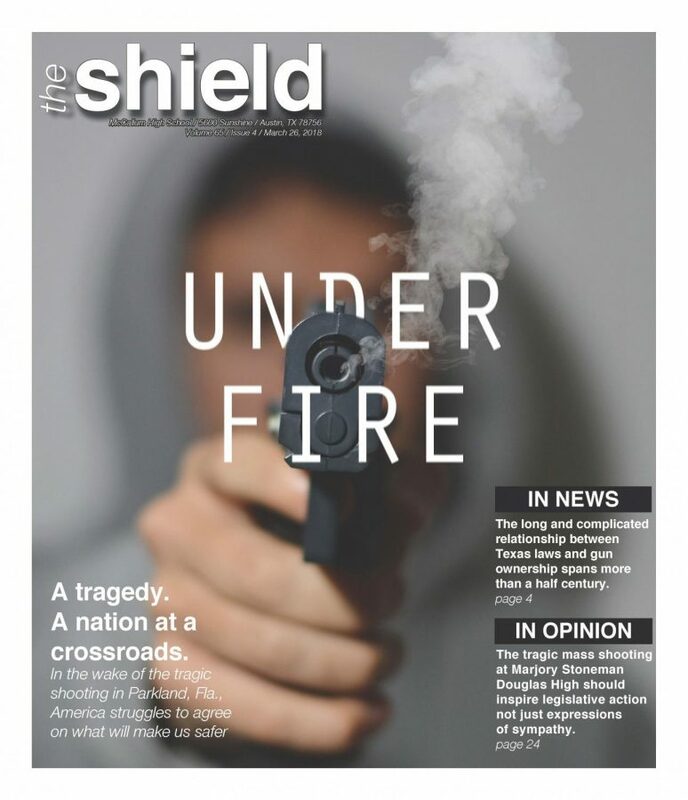 Steven Tibbetts, co-editor in chief of the Shield Online, won third place for print sports column, and assistant editor Kelsey Tasch won two third-place awards in online investigative story and yearbook community copy. Shield staff member Olivia Watts also captured two awards, a second place for staff editorial and a first place in yearbook community copy that she shared with 2018 yearbook design editor Grace Brady. 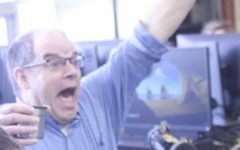 In addition to that first place award, the Knight won first place in three other categories: groups copy, student life copy and news cutline. The complete list of McCallum winners with links to their award-winning work is below. 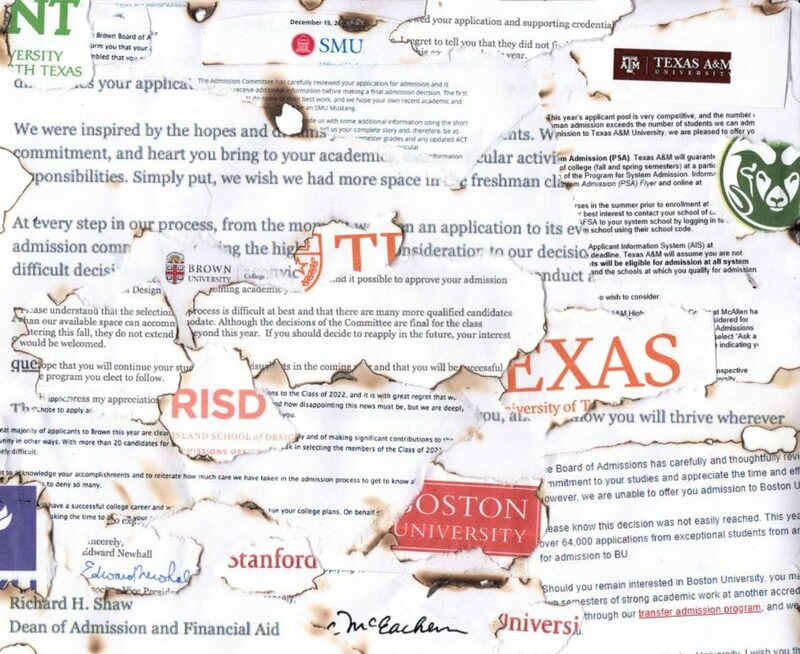 Judge’s comments: A wide variety of student perspectives and personal connections to the issue make this story stand out. Judge’s comments: You do a nice job here of diving into a complicated issue with a great scene-setter style of lede that explains WHY what you are about to argue about is so important. Great job! 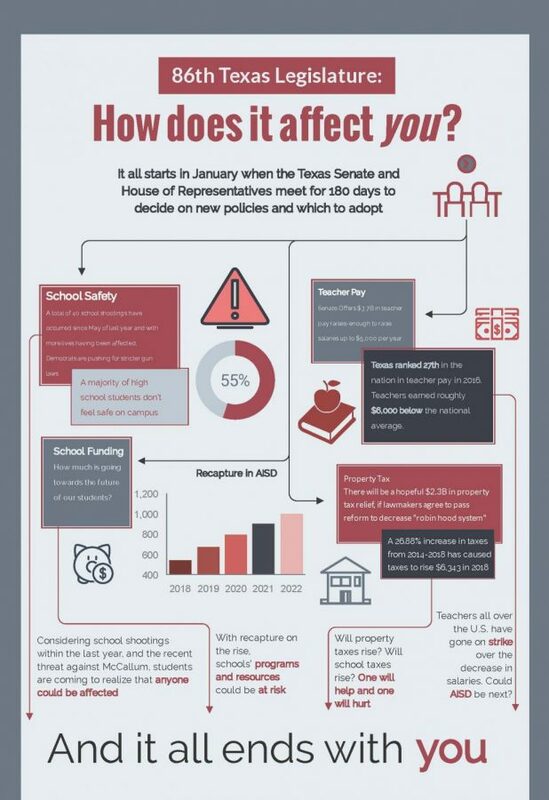 Starting Jan. 8, the 86th biannual Texas Legislature began the 180 days of determining new Texas policies. This legislative year is supposed to be a year of progression and due to the new makeup of the House and Senate, Texans are eager to see what will happen next. Lt. Gov. Dan Patrick and Republicans have been in control in recent years, but Patrick now must negotiate with Democrats in ways he has not before this year. The reason why? If the Democratic state senators remain united, one Republican defector can block legislation and return the legislature to bipartisan negotiations, involving the cooperation of two parties, instead of hyperpartisan, being extremely biased towards a single political party. The most probable Republican swing vote is that of senator Kel Seliger: the last old school moderate Republican who’s butted heads with Dan Patrick in the past. The last time was when Patrick strongly pushed an anti-transgender bill that caused a divide within his party. 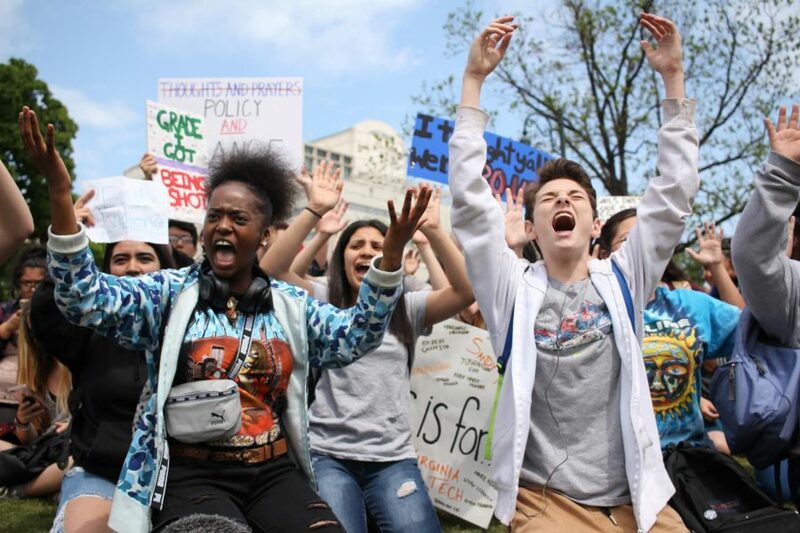 No matter the numbers, Democrats and Republicans alike are all considering legislation seeking to bettering the school system in Texas as well as advancing bills dealing with disaster recovery, marijuana legalization and abortion. Recapture is the collecting of school taxes from property-tax rich districts and redistributing them to property-tax poor districts. 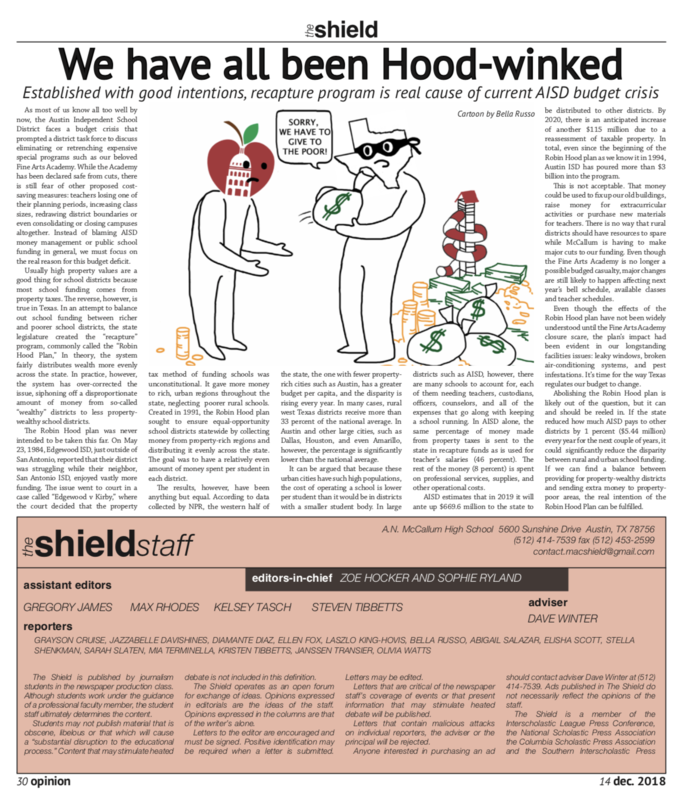 Though it seems to be a fair solution on paper, in practice, Robin Hood laws siphon money out of Austin because the property values in Austin have increased, causing the Austin school district to pay out more money and receive reduced school funds in return. Recently there has been talk of increasing property taxes and lowering school taxes so fewer revenues will be caught up by the recapture provision. $2.3 billion has been proposed for property tax relief if lawmakers agree to pass reform to decrease dependence on the so-called “Robin Hood” system. Unfortunately, the decrease in school funds has affected more than just the lives of students. Teacher’s salaries have also taken a hit, and paired with property taxes increasing, teachers are finding it more difficult to even find affordable housing. The House’s top priority is school finance, but the question is how much of the $7 billion House education bill will be devoted to teacher raises? The Senate is offering $3.7 billion in teacher pay, enough to raise salaries by $5,000 per year. School safety has also become more of a concern as only within the first five months of 2018, there were 16 school shootings, and Texans want to end that trend immediately. 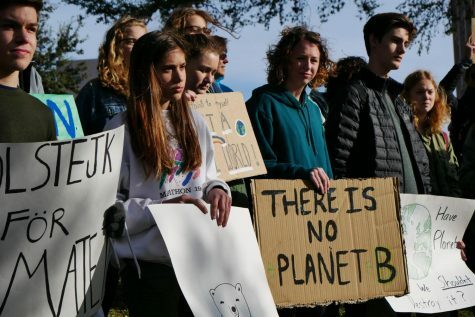 ”It’s a terrible thing to think about, the idea that our lives could be at risk in such a place like school,” senior Isabella Hernandez said. Gov. Greg Abbott released a 43-page school safety plan after the Santa Fe shooting that took place May 18. The proposal considers a wide range of solutions from addressing mental health, to possibly adopting the “red flag” law. The “red flag” law will allow the seizure or surrender of firearms by those deemed an imminent threat by a judge. There is also the possible state program to arm teachers to be trained by the Texas Commission of Law Enforcement. 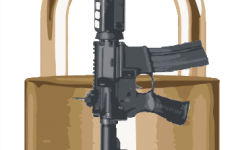 The governor has proposed streamlining the 80-hour training course and lifting the rule that teachers have to keep firearms under lock and key. 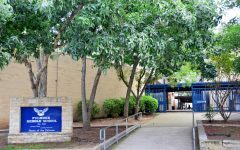 While not all McCallum students would agree with Abbott’s proposals, may do feel that the government must take some action to make schools safer, especially in light of the recent scare over alleged terrorist threats to the McCallum campus. “This is another wakeup call among many for our local government and beyond to enforce more common sense gun laws and restrictions,” Hernandez said. Due to the damages left by Harvey, the city of Houston has hired the HillCo lobbying firm to appeal to the Texas Legislature for disaster recovery relief. Houston Mayor Sylvester Turner openly stated that his top priority is getting disaster relief funding this session, and he hopes that lawmakers tap into the rainy day fund to provide it. “Though neighbors and the community really helped out, it doesn’t feel like the state aided its people in any way,” Houstonite James Puckett said. A few years ago the Compassionate Use Act was signed, allowing for the use of a specific type of cannabis oil for those with epilepsy, but not all who suffer qualify. This year, there may be a significant leap this year in the Texas Legislature. “Though I don’t agree with full legalization, because I personally find the benefits of CBD oil to be enough for me, the punishments for a small amount of marijuana are far too elaborate,” said one parent who wished to remain anonymous. With the bordering Texas states all having legalized the medical use of marijuana, Texas has been put under pressure to follow suit. A couple of bills up for debate this year are the legalization of medical marijuana and the decriminalization for anything less than a gram. More specifically, the bill aims to lower the punishment from a class B misdemeanor and up to six months in jail time, to a civil offense with up to a $250 fine. Texans are eager to see what the legislation will bring us this session. With the new composition of the House and Senate in terms of political parties. The topics of this year are important, but the bills are also incredibly specific in what exactly they address. 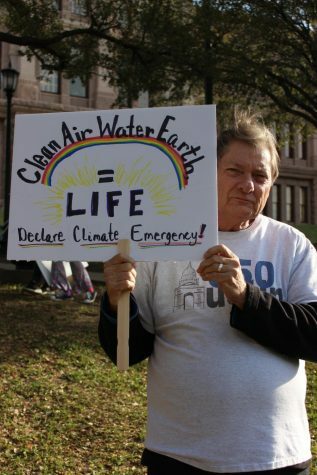 The Texas legislative session ends May 27, and until then the future of our state on a variety of important policy issues remains uncertain. The Austin ISD budget has been a topic of discussion and debate for several months. On Jan. 7, the Budget Stabilization Task Force, created to address a $30 million deficit, released their recommendations for balancing the budget. A large portion of the recommendations that were made focused on lowering transportation costs in the district. Magnet programs and similar organizations were examined in particular because of their currently high transportation costs. 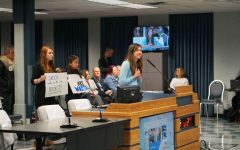 Because magnet programs supply citywide bus transportation and especially because CapMetro provides free transportation for students, the task force recommended eliminating magnet transportation costs and establishing magnet-quality classes at schools throughout the district. — McCallum senior and member of the Budget Stabilization Task Force Sophie Ryland. Another cost-saving recommendations was to eliminate the high school sharing model. The high school sharing model is a program in which students have the ability to attend classes not offered at the school in which they are enrolled by traveling to other campuses that offer the course of their interest. Transportation costs are high for the program; students often drive themselves between campuses, but many students in the program are unable to do so and have relied on busing. Participants say the high school-sharing model, though not a priority in the eyes of the district, has had positive effects on many students and provided them with opportunities they would have otherwise enjoyed. The elimination of free transportation for schools with magnet programs is another major facet being discussed. Magnet programs require students to submit an application in order to be accepted into a school other than the school they are zoned to attend. Since magnet programs enroll students from all over Austin, the cost of transportation to and from these schools is significantly higher than other schools in the district. 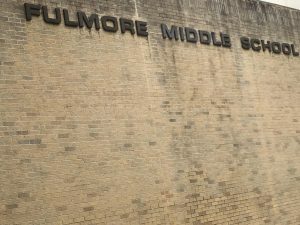 McCallum is a choice program (not a magnet program), so it would be unaffected by this proposed change. Another measure being taken to fix the issues with the district budget are the consolidation of campuses with low enrollment, specifically those with enrollment lower than 60 percent of capacity. Many community members have taken issue with this proposal due to emotional attachments and personal histories with certain campuses. Other proposals include redrawing school boundaries, eliminating tax exemptions for historical properties and implementing a program to reduce teacher turnover. 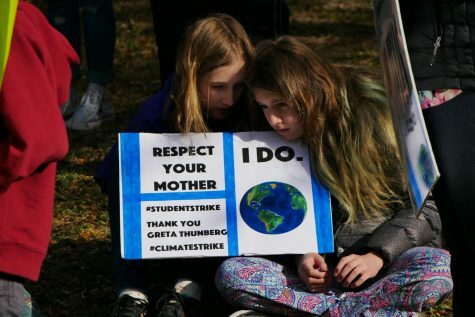 Though the district is forced to make difficult decisions regarding the budget, the BTSF says the voice of the community is still important to the process. There were town hall meetings regarding the budget at Travis and Reagan this week. A third such meeting will take place 11 a.m. Saturday at Austin High. Fear took the place of love on Valentine’s Day at McCallum. 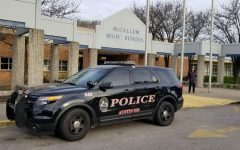 Two days earlier, on the night of Feb. 12, the Austin Police Department was informed of a terroristic threat made by a McCallum student directed towards the McCallum campus. When APD got to the student’s house, he was gone. The police were eventually able to find the student the next morning after the he returned to his home. School went on as normal for the most part on Feb. 13, the day the student was arrested, except for zero-hour classes that took place before first period. Students who showed up for Angie Seckar-Martinez and Scott Pass’s zero-hour Calculus BC class, which starts at 7:30 a.m., were escorted into the cafeteria, where they stayed until the student had been arrested. The students were later allowed to go to their class at about 7:50 a.m.
That afternoon, Garrison sent McCallum parents and staff an email informing them of the previous night’s threat, but as soon as the first threat seemed resolved, rumors of multiple new threats began showing up on social media. That night, Garrison sent another email to parents and staff informing them of the additional threats that had been made to McCallum over social media. Other than the extra police officers and many absent students, school proceeded normally on Thursday, Feb. 14 despite the rumored threats. 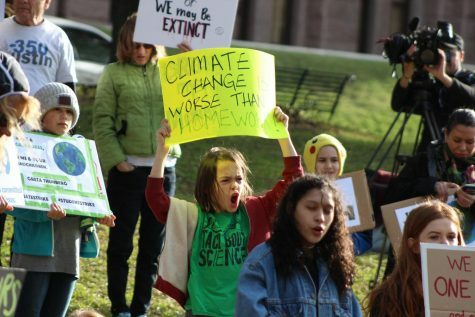 “The canceling of school is always a district decision, and based on the information they had from the investigation, they didn’t feel like there was a need to cancel school,” Garrison said. Although it was not Garrison’s decision whether or not to cancel school, he backed up the decision made by the district. The hallways of McCallum were largely empty on Valentine’s Day after the spread of the previous day’s threats on social media. Photo by David Winter. Garrison believes that the absence of many students from campus on Feb. 14 was in large part caused by the spread of false or irrelevant information on social media. Garrison also understands the worries that parents and students had because of the threats. 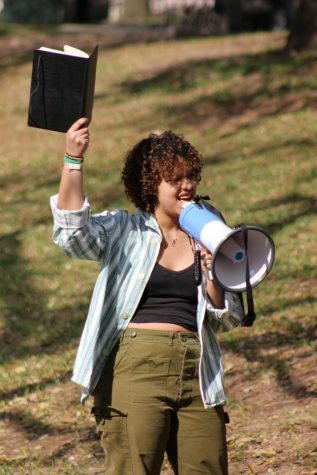 During fourth period Feb. 14, Garrison came on the intercom to talk to the students and faculty at McCallum about the situation. Garrison was not the only adult at McCallum trying to help students with the difficult situation. 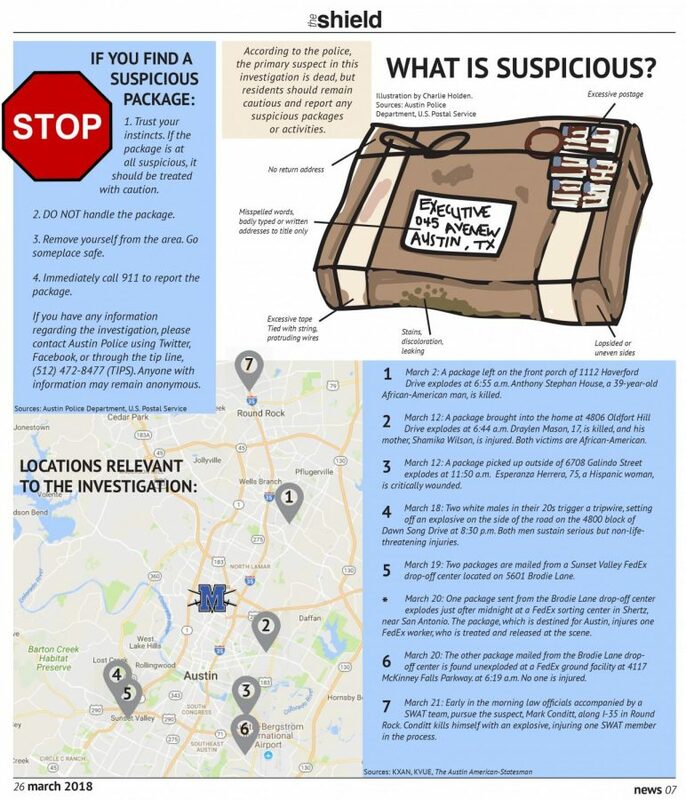 English teacher Dana Olson put together a PowerPoint with information from the Department of Homeland Security to try to prepare students in case an active shooter ever did come on campus. Olson says that she put the PowerPoint together in part because she feels that McCallum would not be prepared enough in the case of an active shooter, citing the fact that McCallum does all their drills during one period. “The only training that we get at McCallum are these lockdown drills, which we only do every once in a while during first period, but the chances of something happening during your first period is one in eight,” Olson said. Olson also feels like the lockdown drills alone are not enough to prepare students and staff for an active shooter situation. So Olson decided to go out and try to find some answers to her questions. Olson says that she feels like her students have appreciated her efforts to help prepare them for an active shooter. Olson also believes that lockdowns themselves are not always the best course of action during an active shooter situation. Olson believes that some of the problem behind why McCallum is unprepared for an active shooter situation is because nobody wants to talk about it. 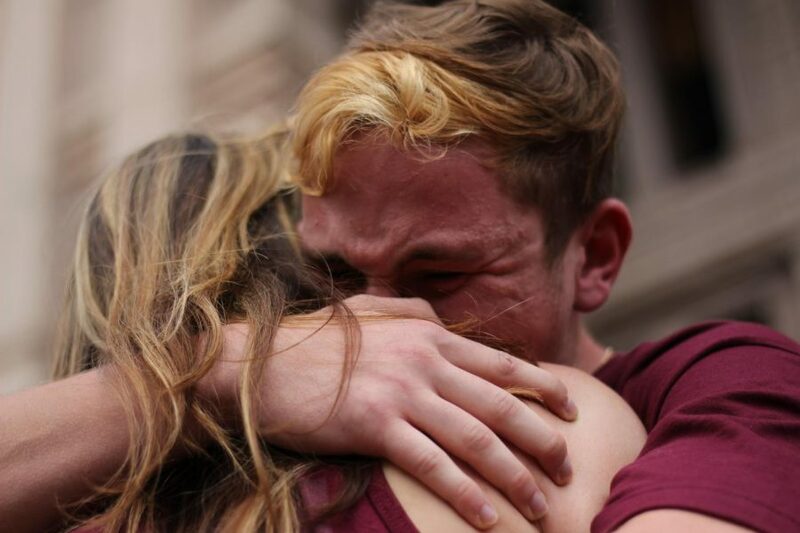 Olson added that despite feeling unprepared in the event an active shooter ever came to McCallum, she still believed McCallum to be safe on Valentine’s Day. 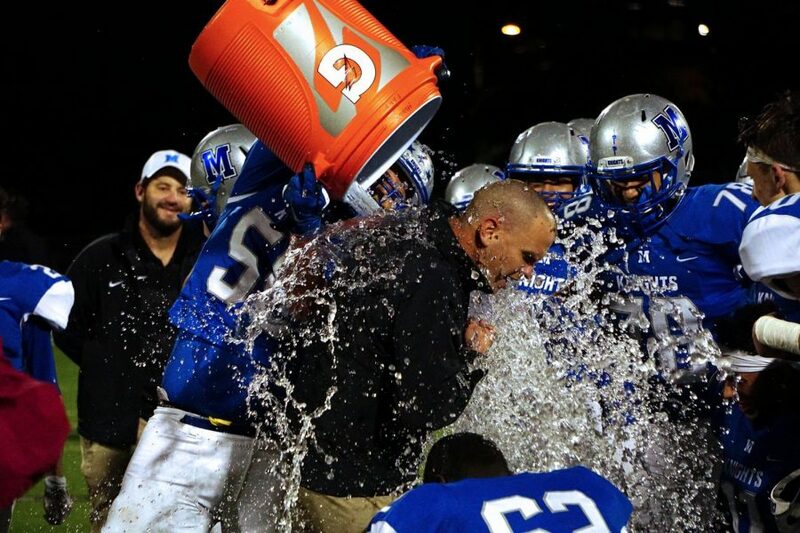 Garrison is appreciative of Olson and the rest of McCallum’s staff for still coming to McCallum despite the threats. 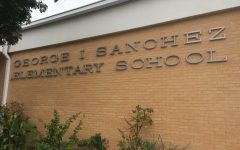 Garrison joined Austin ISD Police Chief Ashley Gonzales and Associate Superintendent of High Schools Dr. Craig Shapiro for a Facebook Live discussion of the incidents described in this story. To view the episode, please visit facebook.com/AustinISD or click the link below.